This is Gipi's first full length, full color graphic novel to be translated into English and released in the United States. 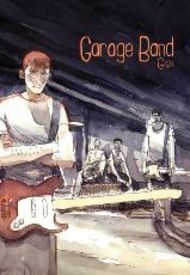 This time out, the author of the haunting Ignatz albums, The Innocents and They Found the Car has produced his finest work to date.While featuring the same lithe pen and ink stylings as his previous work -- here accentuated by a delicate watercolor palette -- Garage Band achieves a naturalism that is truly in a class by itself. 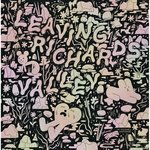 The landscapes, cityscapes and interiors perfectly render the emotional terrain traversed by his cast of characters. Who would have thought that one of the best graphic novels about being in a band would be done by an Italian? Not us, that's for sure.The garage band of the title is here an ideal synecdoche for that moment on the road to adulthood when life is stuck in limbo, between the reality of the past and the potential of the future, held suspended in isolation between the solidity of one's home and parents and the phantasmic visions of what is coming to be.